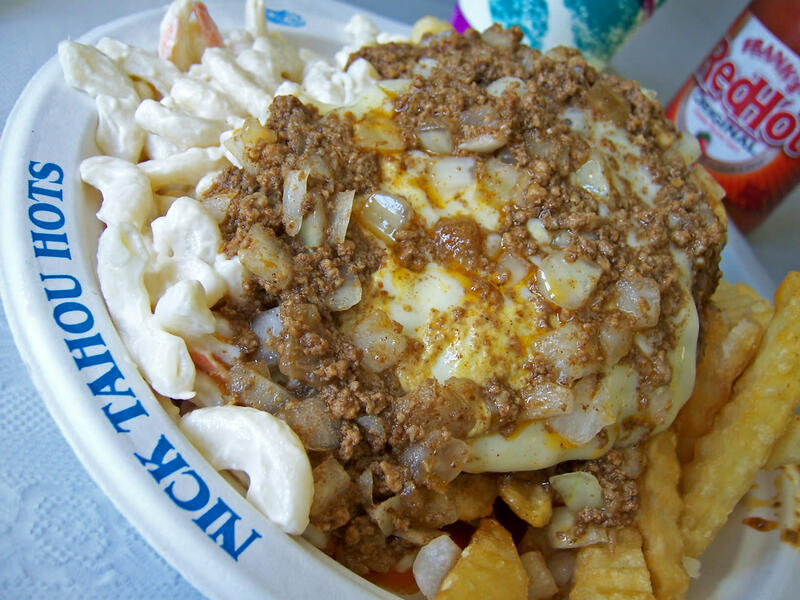 Nick Tahou Hots is a Rochester, NY landmark restaurant famous for the Garbage Plate™. 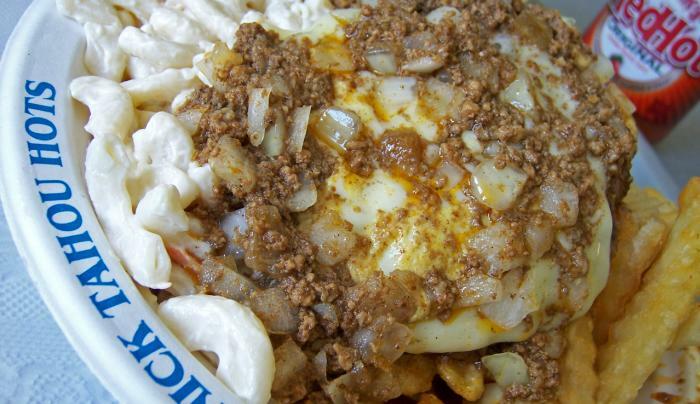 We start with a base of any combination of home fries, macaroni salad, baked beans, or french fries topped by your choice of meats and dressed to your liking with spicy mustard, chopped onions, and Nick Tahou's signature hot sauce. Come try one today! TasteNY Attraction.